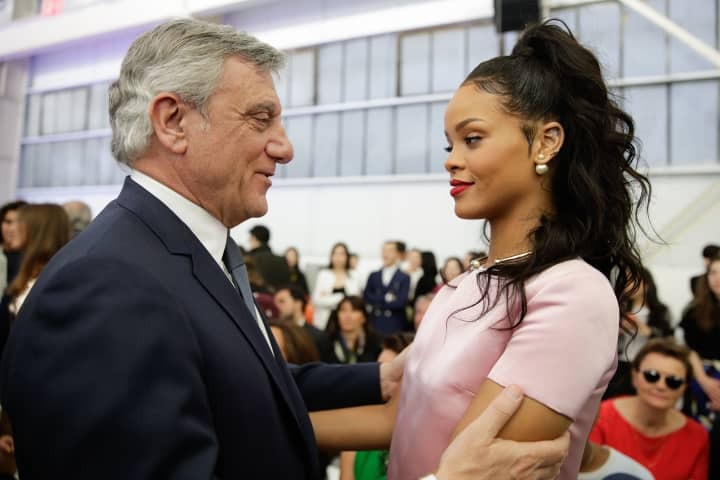 After keen eyes scoped Rihanna shooting at Versailles clad in Christian Dior, the heritage fashion brand has announced Riri will star in the fourth episode of its "Secret Garden" video series. WWD reports that, "the film and print campaign, shot this week by Steven Klein in Versailles, is scheduled to run this spring." WWD's announcement, an exclusive from the design house, is limited to her involvement in the video, but International Business Times is reporting she'll also be replacing Charlize Theron as the face of J'adore Dior perfume. "If the news proves true," IBT writes, "Rihanna is said to be the first black woman to ever represent this luxury brand." Considering Christian Dior has been around for 69 years, all we can say is it's about damn time. Get some unapproved sneak peeks (courtesy of the Navy) at what our gyal will be wearing in the video, below.